When I was a new natural, I was using a metal, long tooth pick to detangle my hair. I thought I needed the long teeth to handle the entire length of my hair- starting at the roots(!). I was putting the teeth in at the roots and forcing the pick through the entire length of my hair. 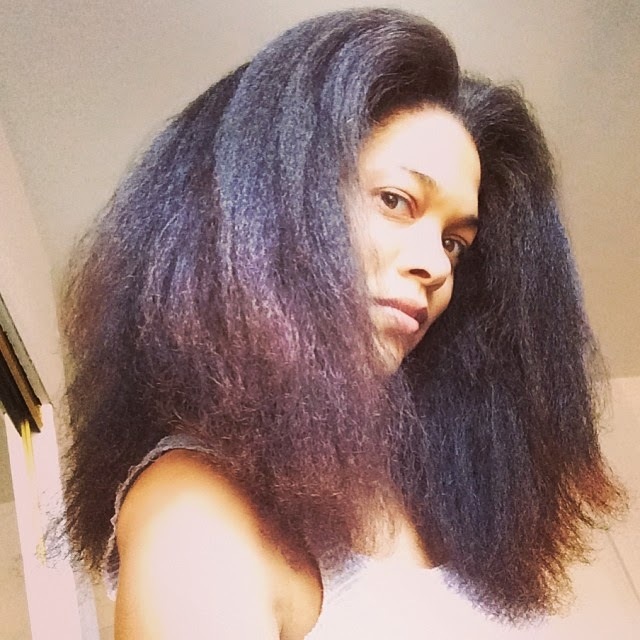 I also used to detangle my hair while dry, and adopt a very stubborn "I will tame this hair" mentality to get me through it. Surprisingly, my hair was quite thick and grew rapidly despite all the ill treatment. That picture was taken after 3 years of growth, moderate mistreatment, and sporadic trims that did not account for the "shape" of my hair. I think that was the healthiest that head of hair got. I began pressing it, I used several rinses in it, and I continued handling it roughly and without much regard to the ingredients in my products. 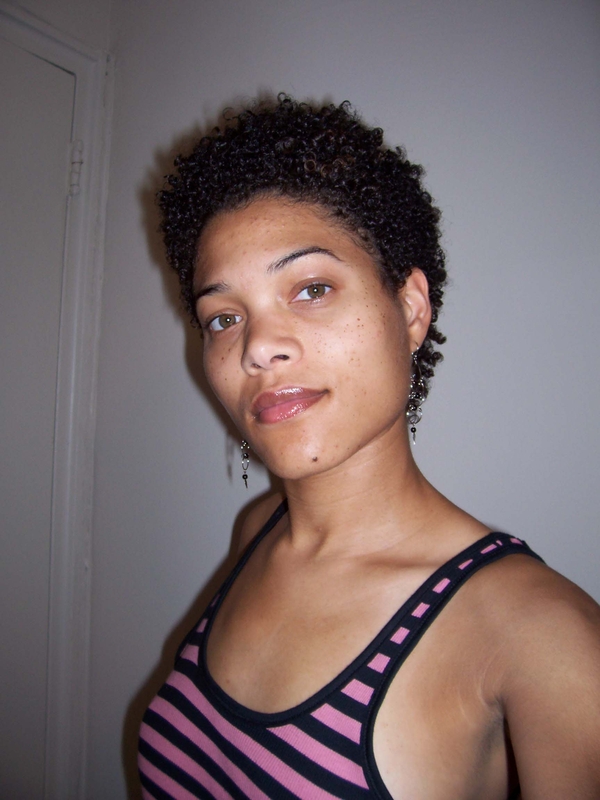 In late December 2005 I pressed my hair with my brand new Maxi-glide, and killed it. Severe pressing damage made me have to cut it all off and start again that April. It was very sad. But I did it to myself, because even then, there was information out there that would have benefited me, and my hair had been sending me clear messages that I didn't listen to. Ya'll know it continued to grow and I recently cut it again into a short style. But I would say I have now at least heard about every natural hair anything at least once and tried almost everything I thought might work at least twice lol. In all this time I'd say the biggest enemies to my hair have been dryness and the related split ends and knots, and then rough handling, and the related breakage and knots. By knot I mean fairy knot, or single strand knot. I get a lot of those, and I cut them out when they begin to bother me. Unfortunately for my hair, I choose lifestyle and looks over the health and length of my hair more often than not, and in cutting my hair this most recent time, I have come to terms with that. 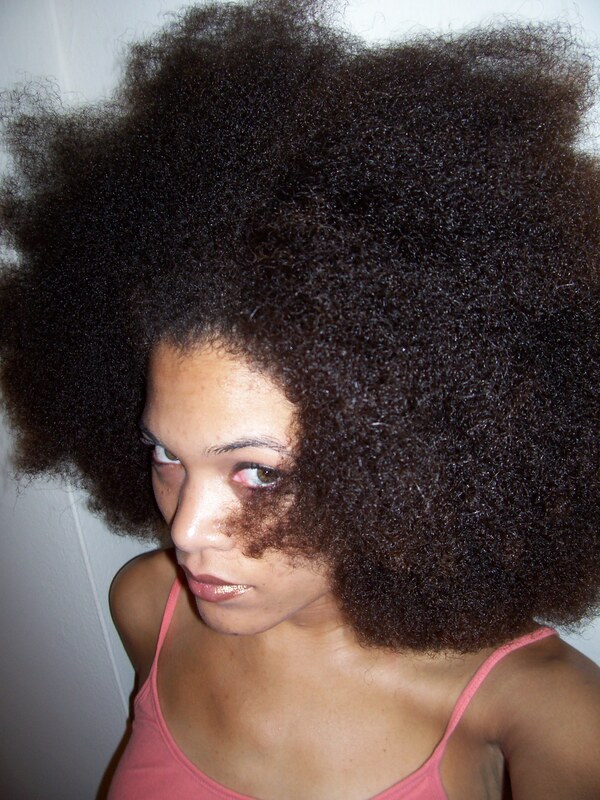 I'd much rather my hair be a slave to my lifestyle, than have my lifestyle be a slave to my hair. 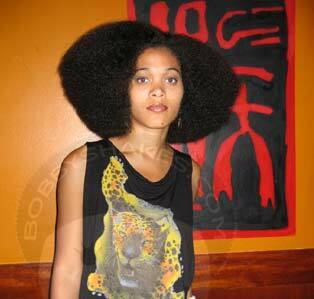 Been there, done that with the relaxers and straight hair. I don't want to spend hours detangling and deep conditioning and steaming, and twisting and roller setting etc, every week! And I never want to have to avoid water again! lol. Length retention is going to be a bit slower for me under these conditions, and I will need more trims and much more gentle detangling processes if I continue to do wash and goes or shingle sets. These styles, when they grow longer, brush up against my shoulders and shirt and I also have to detangle more often to prevent some of the knots that form. All in all, because of my tendencies, the longer it gets the less healthy my ends are and the more protective styling I need to do to keep them. Bagh. So anyway, today me and my homegirl were talking after we watched a new natural describe and demonstrate her detangling process on Youtube. That conversation prompted this post. It seemed to us that she was doing it all wrong, and we had previously noted that her hair seemed to be riddled with knotted looking ends. "Ah ha!" we said, "I bet this is why!" I don't know for sure that her hair was breaking off, or tangling exorbitantly because of her process, so I can't say she was doing it wrong. BUT I can say that there are other techniques that I would chose for her. I don't like to sell myself as a guru or give specific advice for hair different than mine yet I do encourage learning the basic techniques, their benefits and some trial and error to learn about each unique variety of hair. This girl likes to wear wash and go hair like I do. When you wash and style for 30 min go, the entire length of hair will be coiled, kinked or curled, (which is what I do now!). And even if you stretch it with a little heat or traction setting, the ends will kink or coil up and be prone to tangling, knotting and drying out after just a few days, or even one day if it's brushing shoulders or being played with or blown about. The longer I leave my hair to chill in its natural tight pattern, the harder it is to detangle and the more irreversible knots I get. Those knots by the way, will grab on to healthy hair and involve it in the mess unfairly. (Product helps to define and separate it some, coat it, keep it moist, keep it from velcroing to itself and other things, lol. But I think that product is more a solution for the dryness that causes additional weakness). The advice I would give, therefore, based on my own wash and go experience would be to detangle at least every 4 days when wearing wash and goes. I think removing the shed hair is important, releasing any knots and mats becoming more urgent as the days pass. I think the tools and products used are also very important parts of the process. The combination of these things depends greatly on the length and type of hair. I personally HATE detangling with the denman brush. I feel like it pulls my hair and causes additional tangles to form during the styling process that make me have to manipulate my hair too much. But that's just ME! ta da. There are many many processes that work for different people for different reasons. There is dry detangling, wet only detangling, detangling in sections, with fingers, brushes, tangle teasers (next for me!) and all sorts of combs. And then there is technique. ENDS to root any which way! Product provides slip to avoid the velcro and matting effects. Conditioners, Olive oil, coconut oil and aloe vera are popular detangling products. There are all sorts of concepts that can be applied to help naturals achieve length, health, time savings- whatever you want to get down for yourself. I introduce a few online resources I found particularly informative and encourage everyone to do research and find more! Try more! I think that we should try more than one thing, and adjust and adapt as needed. Thanks for sharing the different detangling processes & the links! I recently discovered that I can't just wash & go or do a twist out, and then just ignore my hair for days anymore...at least not until it grows out some more. I've started dry detangling it, gently, with my shower comb. While this keeps the tangles away, I have been wondering if there is a better method. thank you for sharing this info! it's really useful. i just had a question about your hair in the 2nd pic where it's short. i love it! I loved my hair at that length- it was so easy to care for. I only ever detangled it wet with conditioner in it, which is still my preferred method to this day. It kinda trained my curls to stay in their form day after day because I never let them come apart fully. I applied products pretty heavily after washing or co-washing it. Mostly Ecostyler gel, or Fantasia IC gel, like an entire palm full, mixed with castor oil or a leave in like Paul Mitchel's The conditioner. I would finger comb it through- like rake it through. My hair took to that pretty well. This is great!=)) I started doing wash and gos again recently. I been researching for sometime now to find out what to do about the few knots I get in the back. How often do you find knots since you began detangling this way? and what do you do when you work out(how do you tie it up and do you have to detangle it agin to prevent too many tangle)?